Hi party people! 🙂 A few years ago when I was in the advertising industry I had the opportunity to make some Christmas gifts for coworkers, and, well…it was a hit! We can all agree that making homemade Christmas gifts for adults is more than challenging. Usually its very time consuming too, but this time it was so fun and EASY! One friend even mentioned to me months later that it was one of the best gifts she could have received (you’ll see why later). I’m going to teach you how to make Peppermint vodka—I promise it’s so simple you’ll wonder what took you so long to try it. I knew I really wanted to make gifts for people in my life, and when I was daydreaming what I could give to my coworkers I decided to infuse some alcohol. I wanted to make sure it was festive, so I decided to make peppermint vodka drinks as opposed to a few of the other popular holiday drinks you’ll find. There are a few peppermint vodka recipes out there that I’ve tried and this is the best one. Just be prepared that it will take 2 weeks or more to infuse, so NOW would be the perfect time to whip up a batch of your own to give as Christmas gifts for coworkers you love! 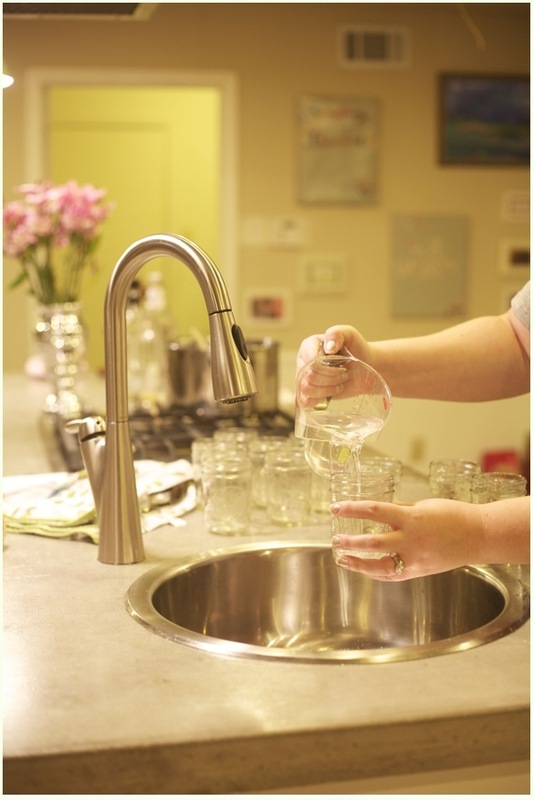 Make sure your jars are clean and ready to go! 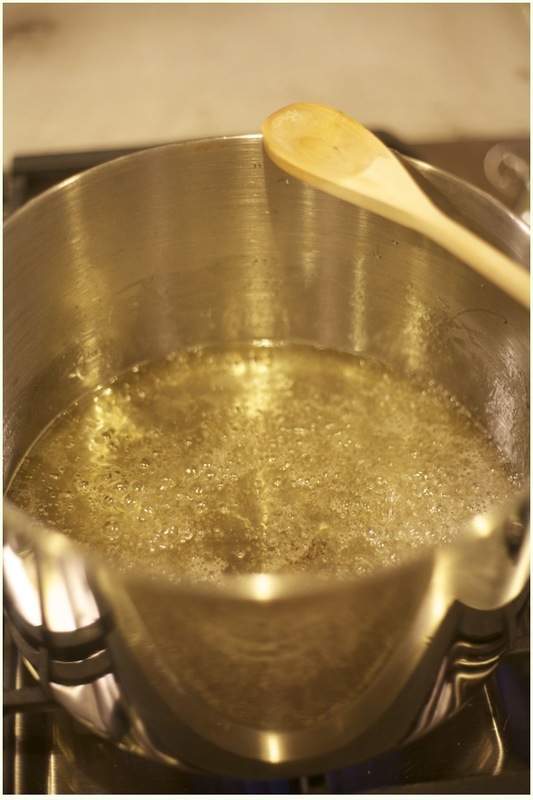 In a large pot combine water and sugar over medium heat, stirring continually until liquid becomes clear (approximately 5-7 minutes). Wait until liquid cools (this is important), then add peppermint extract, stir well. Add vodka to the peppermint mixture and stir the peppermint vodka for 10 seconds. 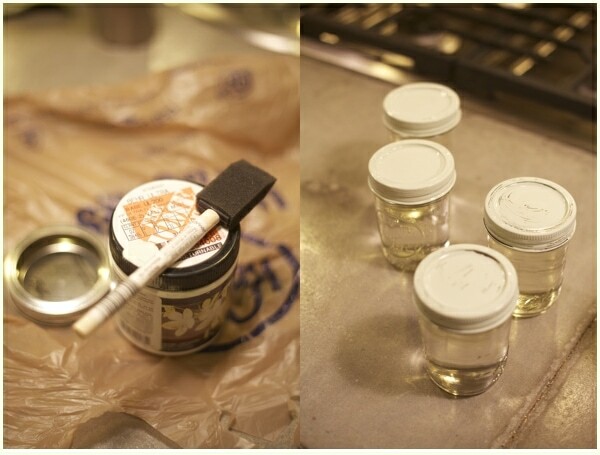 Pour 8 ounces of liquid into your mason jars and close lids tightly. Keep in a dark, cool place for 2 weeks, shaking jars for about 10 seconds every 3 days. 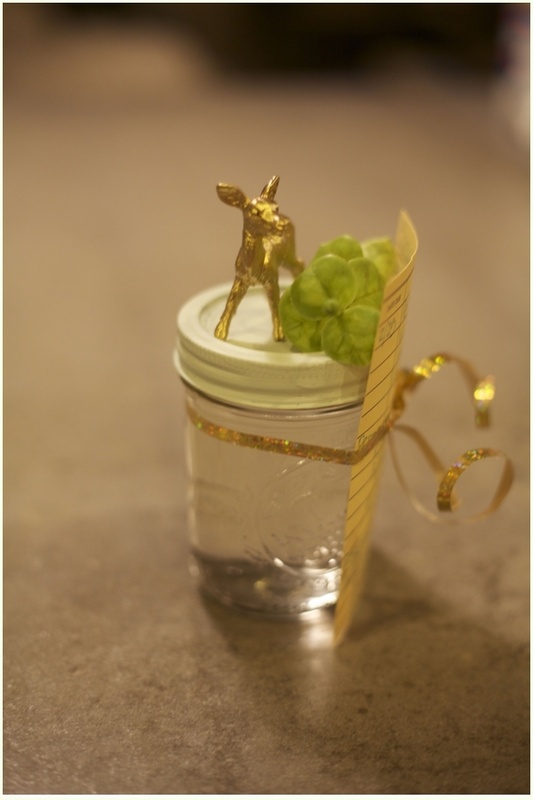 If you really want to impress your coworkers with a great Christmas gift, decorate their jars! 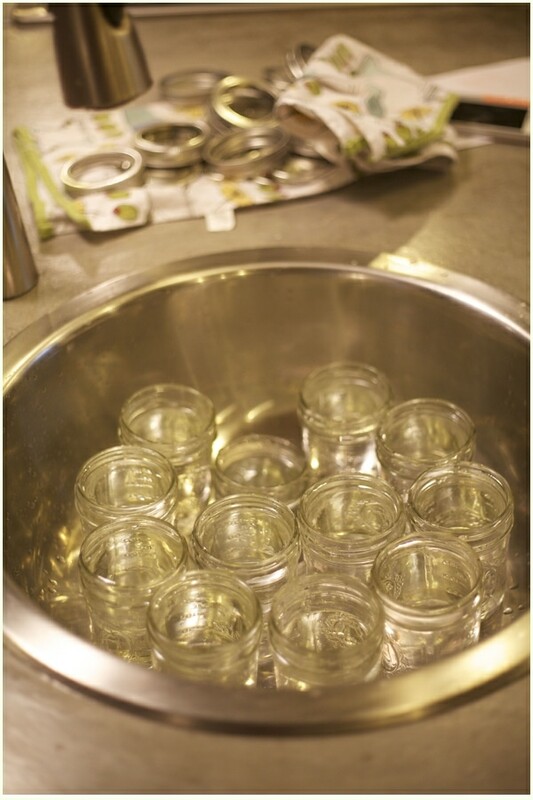 After I had all the jars put together, I painted the lids a flat blue that I had left over from another project. 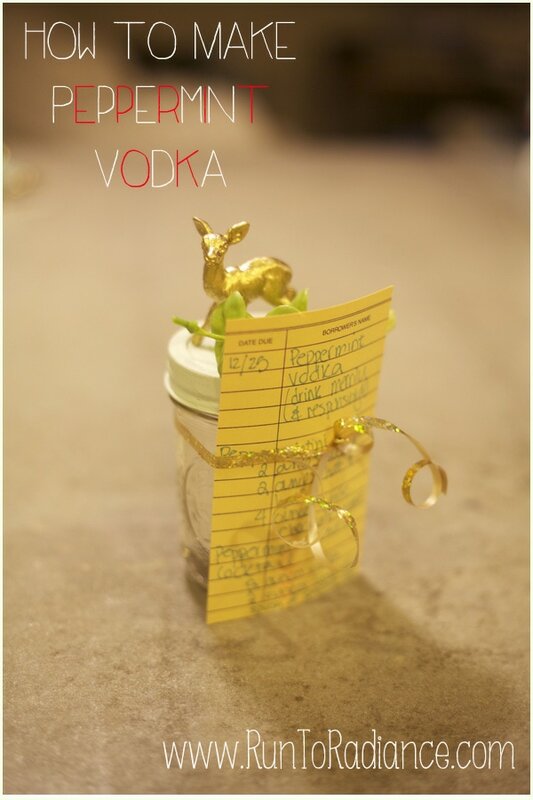 To complete my wrapping, I used some faux greenery, and vintage library cards I ordered from this shop on Etsy, and wrote out directions for a few cocktails to make using the peppermint vodka. How do you Make Peppermint Vodka? 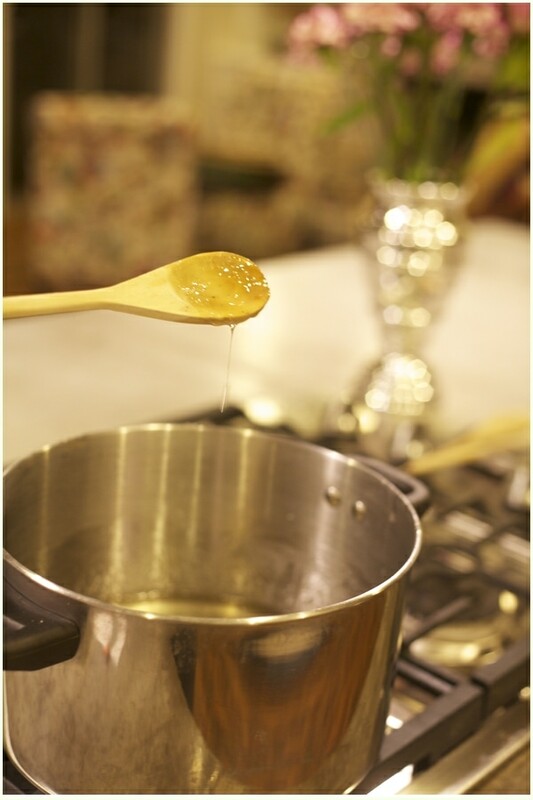 Let mixture cool, then add peppermint extract, stir. 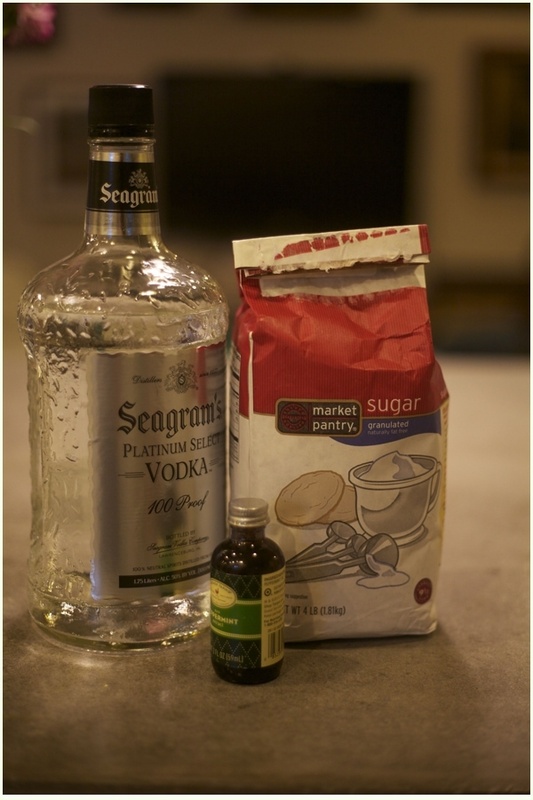 Add vodka to mixture, stir. What do you mix with Peppermint Vodka? If you’re looking for a little extra spirit in your hot chocolate add an ounce or two and you won’t be disappointed. 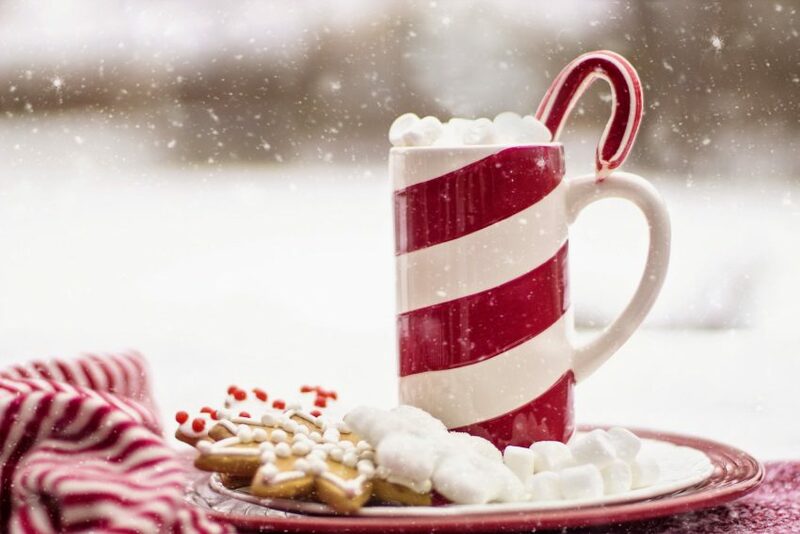 Use a ratio of 1 ounce of peppermint vodka to every 8 ounces of hot chocolate for a great warm cocktail. Are you looking to add a little James Bond to your Christmas spirit? Try adding 2 ounces of peppermint vodka with 2 ounces of half and half, and 4 ounces of white chocolate liqueur–you’ll have yourself one yummy cocktail. Just remember… stirred not shaken. What are some other simple Do it Yourself Gift Ideas? 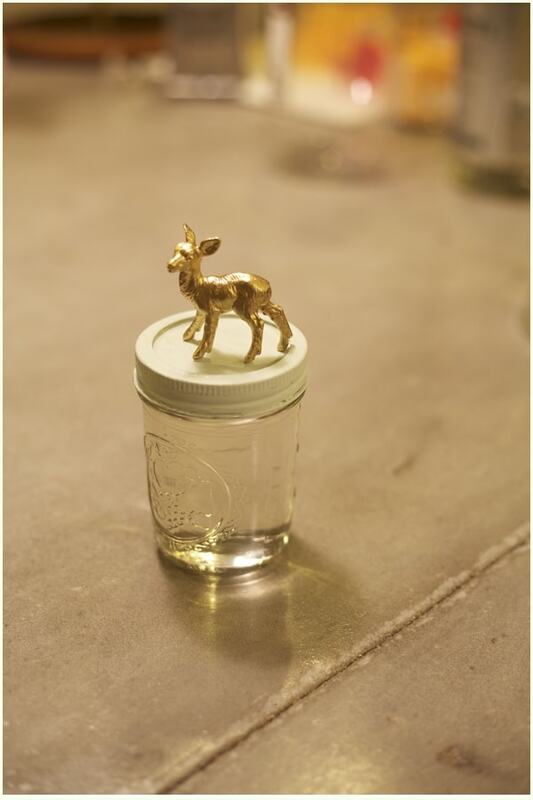 Looking for more Christmas gifts for coworkers that aren’t alcohol? 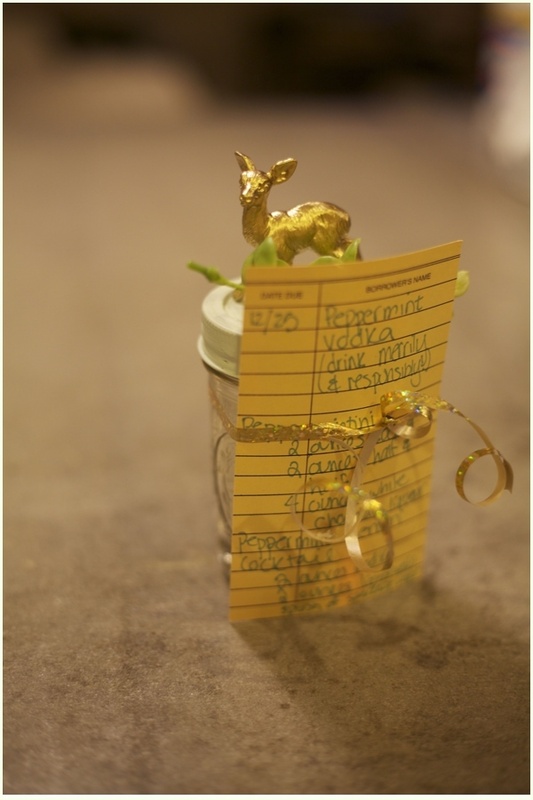 Here are a few simple DIY gift ideas they’ll be sure to love! 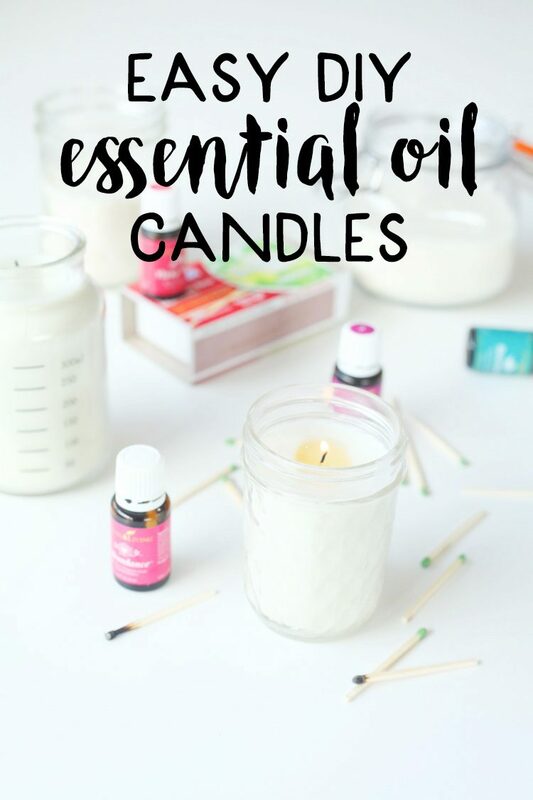 These simple and thoughtful essential oil candles make great gifts for the people in your life. 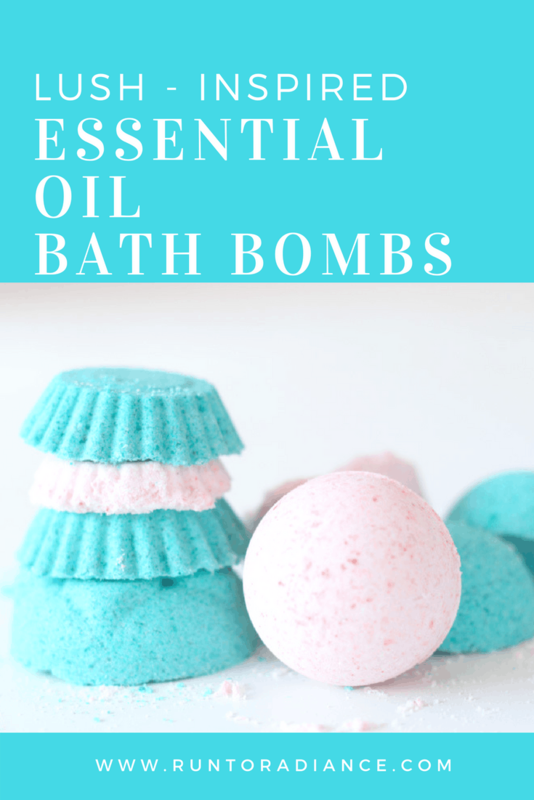 These 7 ingredient bath bombs will make any spa loving fan more than happy. For ideas for every gift giving occasion take a look at my pinterest easy diy gifts page. I’m sure there will be something that works great for you! Hi, Tania! Wow, I absolutely love this idea! It’s way simpler than I expected. 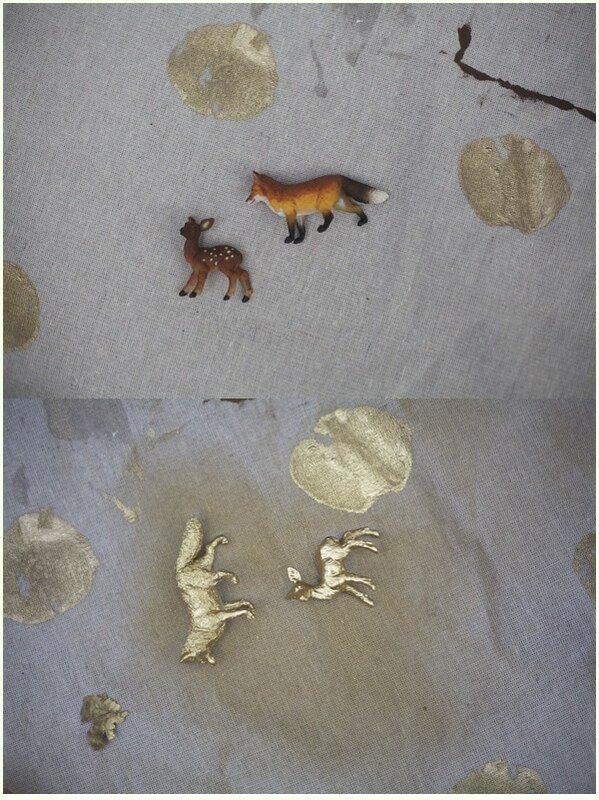 I’ve seen little animals painted like that and have always wanted to give it a try. Thanks for the great inspiration, pinning for later! Have a great week! Oh, and I love your photos! What a fun idea! Thanks for sharing at the Funtastic Friday Blog Hop!